Basil F. Heath, better known to Tinley Park residents as Chief White Eagle, died on Monday in Indiana. He was 93. Basil F. Heath, better known to legions of Tinley Park residents and decades of moviegoers as Chief White Eagle, said John Wayne killed him seven times on the screen. The long-time Tinley Park resident died at 2:35 a.m. Monday in Woodlawn Hospital in Rochester, Ind. He was 93. Starting with 1939's Northwest Passage, White Eagle appeared in Westerns like She Wore a Yellow Ribbon, Red River, Niagara, How the West was Won and Stage Coach. He later went on to host the "Indian Stories" segment of the long-running WTTW children's show Totem Club, which debuted in the 1960s. “Totem Club was one of the first children’s shows on WTTW and was the beginning of a long legacy of providing quality programming to the children of this community, which is at the heart of our mission, said Dan Soles, senior vice president of television content at WTTW. White Eagle also appeared on the show Wagon Train, made numerous commercials and public appearances and hosted a Native-American-centric radio show for many years. He lived in Tinley Park from about 1975 to 1990 and was well-known to the children of the town, said long-time friend and Village Clerk Pat Rea. "He always considered himself a Tinley Parker," Rea said. White Eagle's wife, Bobbie Bear, called Rea this week to let him know the sad news. Village officials who were, as Mayor Ed Zabrocki put it, "old enough" held an impromptu memorial during Tuesday night's village board meeting. "He really made an influence on the town many years ago," Zabrocki said. "He was a fixture here and it's a sad day." White Eagle was born on March 18, 1917, at the Iroquois Indian Grand River Reservation in Ontario, Canada, the son of Andrew Cleve and Amelina (Da Amorin) Heath. He attended McGill University in Montreal and later Oxford University in England. During World War II, he served as a liaison officer in the Office of War Information. 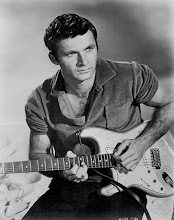 He started his career as an iron worker and welder before becoming a stuntman and then making the transition to on-screen parts. He married Bobbie Bear in on June 29, 1977 in Grand River Reservation, Canada. In the mid-1980s, White Eagle and Bobbie Bear accompanied Rea, Zabrocki and other village representatives on an exchange visit to Tinley Park's European sister cities. Although both White Eagle and Bobbie Bear had high positions in their respective tribes, they were unaccustomed to the reception they received from the European nobility, Rea said. "When they went to Europe, he was always given princely deference and his wife was automatically put in with the princesses, which, by the way, flabbergasted her," Rea said, laughing. 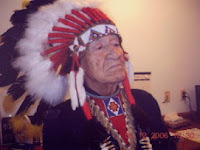 Basil "Chief White Eagle" Heath is survived by: wife, Roberta “Bobbi Bear” Heath, Rochester, Ind. ; daughter, Eunice Madeline Heath Collard, North Chichester, Essex, England; adopted tribal son, Kenneth “Lone Eagle”, Knox, Ind. ; granddaughter, Laura Marie West, Dagenham, Essex, England; great-grandchildren, Connor Ben West and Kai Porter West, Dagenham, Essex, England; sister, Mildred Burgemeyer, Converse, Texas, and several nieces and nephews. He was preceded in death by daughter Lauraine Heath and sisters Sylvia Schroeder and Valerie Peterson. Private services will be observed. Memorial contributions may be made to the Chief White Eagle Memorial Fund. Arrangements by Zimmerman Bros. Funeral Home, Rochester, Indiana. Online condolences may be sent to zimmermanbros@rtcol.com or in the comments field below this article. Died: 1/24/2011, Rochester, Indiana, U.S.A.